We are real estate agent company. We offer free consultancy services for every kind of real estates i.e. homes, townhouses, shophouses, hotels, apartments, warehouses, or factories within Bangkok and metropolitan area for both commercial and residential purposes. 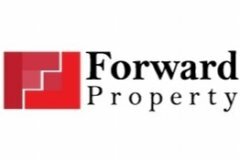 you want to buy, to sell or to rent out any property, we will try our best to assist you to get the best deal until the completion of the transaction in professional customer service manner and honesty. Furthermore, you can advertise your properties on our website for free. Please do not hesitate to let us know should you like to get any of our services. Land for sale Sriracha area 4-3-95 rai nearby J park. 7,980 m2 / 4 Rai 3 Ngan 95 Sq.W. 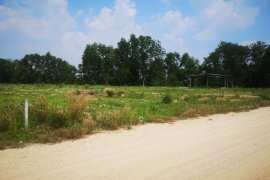 Land for sale Sriracha bowin area 20-3-53 rai. 33,412 m2 / 20 Rai 3 Ngan 53 Sq.W. House for sale in Casa ville ramintra- hathairat area 72 sqw..
288 m2 / 72 Sq.W. Land for sale Sriracha Area 59-3-15 rai width 140 m..
95,660 m2 / 59 Rai 3 Ngan 15 Sq.W. Penthouse for sale modern loft style sukhumvit 65 area 250 sq.m..
Condo for sale Chateau intown Pahonyotin 32 Size 31.11 sqm. Factory for sale nonthaburi area 4 rai. Hotel for sale in Khon kaen area 190 sq.w. 40 rooms. For sale!!! Stylish designed 3-bedroom penthouse BTS phayathai. Apartment for sale Ramindra 199 sqw. 5 stories. 59 rooms. Townhome for sale Baan Klang Muang S-Sense Onnut-wongwan. 122.8 m2 / 30.7 Sq.W. Apartment for sale Ratchadapisek area 46 sq.w. 10 rooms. 184 m2 / 46 Sq.W. Land for sale viphavadee Area 200 sqw.. Apartment for sale Nawamin area 80 sqw. 38 rooms. Land for sale Kanchanaburi area 30-1-88 rai. 48,752 m2 / 30 Rai 1 Ngan 88 Sq.W. Land for sale sukumvit 113. 156 m2 / 39 Sq.W. Land for sale Ratchadapisek 5 rai. 8,392 m2 / 5 Rai 98 Sq.W. Land for sale Latkrabang Area 346 sq.w. 1,384 m2 / 3 Ngan 46 Sq.W. For Sale Lux-house Ladprao -Nakniwas fullyfur with pool. 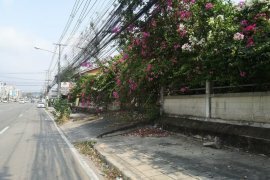 Townhouse for sale Pruksa ville 11 Klong 3.